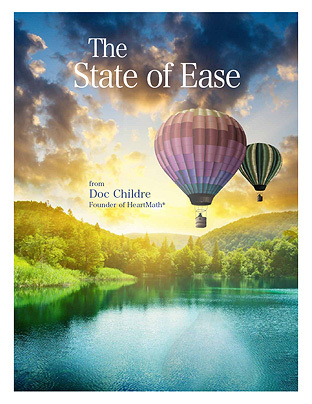 There is a “state of ease” that each of us can access to help release emotional turbulence and help maintain coherent alignment between our heart, mind and emotions. Learning to access our personal space of “inner-ease” can be done with minimum practice and in just a little time. When operating in an ease-mode, it’s easier to choose less stressful perceptions and attitudes and re-create “flow” in our daily routines. The State of Ease by Doc Childre is licensed under a Creative Commons Attribution-Noncommercial-No Derivative Works 3.0 United States License.